Callaway balls offer many different options depending on your type of game. Since Callaway introduced its first line of golf balls in 2000, they have grown in popularity--and deservedly so. Today, whether you're looking for a two-piece, three-piece or four-piece ball that best suits your game's needs, chances are you'll find a Callaway that's the right fit. Select a two-piece ball if you prefer a soft feel but don't want to sacrifice carry and distance. Choose the Callaway HX 2 Piece Golf Balls (CAHX2) if you want to maintain solid control of of your short game. You should not use this ball if a soft feel is not for you. This is a ball for a "touch player." Use the HX 2-Piece Red from tee to green if you prefer the feel of a three-piece ball but need the distance and spin potential of a two-piece. Do not expect maximum results with this ball if you have a high handicap. Open a sleeve of HX 2-Piece Blues if you rely on spin control for your short game. This "feel" ball also has decent distance and play like a three-piece ball, according to many of its boosters. As with the Callaway Red, use the Blue two-piece if you're a low handicapper. Take the Big Bertha Diablo for a "drive" for the latest in two-piece technology. You'll find that this ball's High-Resiliency Core provides both distance and soft feel. Test the Callaway HX Hot Bite three-piece ball if you're a long driver or just want to get longer off the tee. You'll find this ball also bites and grabs the green splendidly. Callaway touts the HX Hot Plus as its longest ball ever, courtesy of the ball's hot core technology. For touch players, this one offers a balance of distance and feel. This ball stays in the air a long time. Look to Callaway Golf HX Pearl three-piece balls if you're a woman looking to improve her game from tee to green. This ball has a soft, forgiving feel, excellent spin and improves distance for even low- and medium-speed swings. Play Callaway's four-piece balls on the longest holes of your favorite course if you're open to their "inertia technology," which maximizes distance off the tee and all the way to the green. Test the two-cored balls not just off the tee, but also for long iron shots to measure their carry to the flag. On those long "test holes," see whether the four-piece Callaways also provide the promised spin control around and on the green. Use both the four-piece Tour i and Tour ix Golf Balls to see which adds more yardage to your drives. Check out your pro shop, but price-wise, you can do better at other outlets. 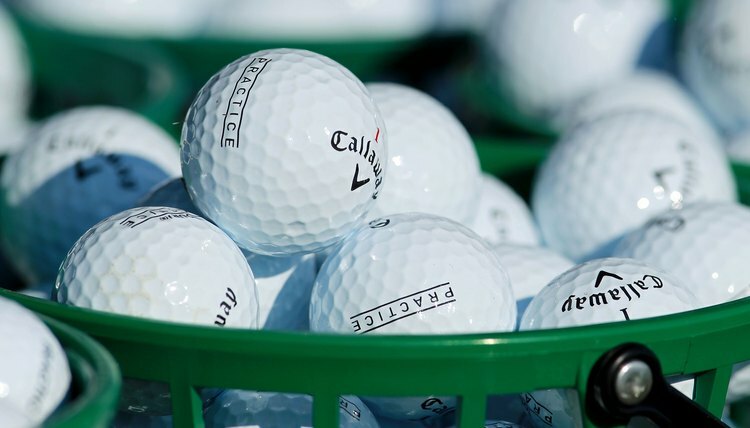 Check Callaway's website for a detailed description of all their golf balls and suggestions how to select the right one for your game (shop.CallawayGolf.com). Compare on-line retailers such as Golfsmith.com and CallawayGolfPreowned.com. For the discount-minded golfer, the pre-owned balls are a good option--especially if you're prone to lose a few during a round. Also check out major retailers--Target, for example--and discount sporting-goods chains that carry Callaway. Peter F. Stevens is an award-winning author and journalist whose 10 books include "The Voyage of the Catalpa." For more than 25 years, he has contributed to a wide array of publications including "American Heritage," "American History," "Yankee," "VFW," "Golf," and "Golf News." The "New York Times" frequently syndicates his work.